You may know it as Grapevine, Gossip, or the Telephone Game; we call it Chinese Whispers. No matter what you call it, this is a new take on the classic game and we hope you enjoy playing it as much as we enjoyed making it for you. You start the game with a short story and pass it to a friend. The next player illustrates the story with our built in finger painting canvas and passes it to the next player who will provide a new caption. Several rounds later, hilarity ensues! 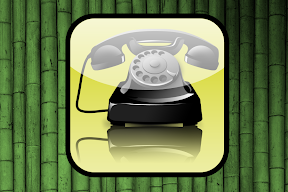 We hope you'll check the Android Market for the free Telephone Game for Android by Mobile Magic Developers. James and I worked together for about 3 years at Emerald Software Group. James went off to ThoughtWorks and I stuck with Emerald. We've both spent most of our careers writing business applications. While we love leaving a big project knowing we've made a difference, we got to wondering how we could write software that enriches the lives of more people. We decided we'd get together and start writing mobile apps that are entertaining, useful, funny, amusing, and enriching. We started writing apps on our own and have had a lot of fun doing it. We decided that we ought to join our efforts and see what we came up with. Thus, WTF Ware was born. 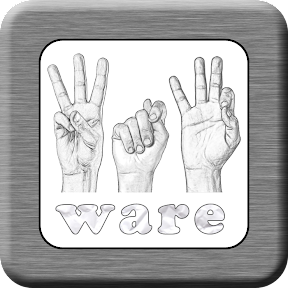 I wish I could say we had a good story for how the name came to be or at least something clever WTF Ware could stand for. Unfortunately, no such story exists. We were just about to start writing our first app and we realized we needed some sort of organization name. James asked, "WTF is our company name?" "Beats me dude. Just make something up for now and we'll come up with something later." Well, WTF Ware is what James made up and it stuck. So, without further ado, I'd like to introduce ourselves. We're wtfware.com and thanks for checking out our applications. Initially, when I released Chuck Norris Facts, I published two versions. I had a free version which was limited in facts and functionality. Then I published a paid version that included all the facts and customization. This proved difficult to maintain, so I decided to make the free version ad supported and (at the time of writing) fully functional. Unfortunately, it was still a little difficult to maintain. I still wanted to have only one code base so that I could release one app all the time. Another issue was that if you have the free version for a while and switch to the paid version, you lose your fact history and start over. Thus, I switched upgrade paths. Now, I encourage everyone to try the Free Chuck Norris Fact Widget for a while until you decide that you like it. Then, you can purchase the Chuck Norris Fact Widget Upgrade for less than a buck. This will remove the ads immediately and you won't lose your current fact history. 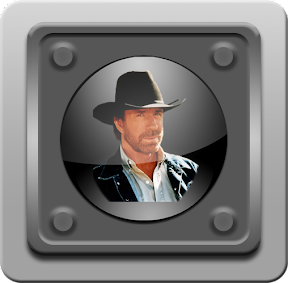 If you are a user who has already installed the full Chuck Norris Fact Widget, you can download and install the free version and there will be no ads (as long as you don't delete the paid version). You'll have to start over with your facts (but they're random anyhow so it shouldn't be too bad). This way you'll continue getting updates with new facts and seasonal backgrounds. If you really want to delete the previous paid version, send an email to me and I'm mail you a buck or something so you can download the paid key. I'd also like to thank all of the users of both the free and paid versions for sticking with me through this learning experience. I hope it's been as enjoyable to use as it has been to write. A few weeks ago, I decided I'd like to try my hand at writing an Android application. One of my favorite features of Android over iOS (other than the fact that I think Apple lacks any form of ethics or sense of social responsibility) is that Android allows you to add widgets to your home screens. Sure, you can still have the half dozen views full of rows of boring icons, but the widgets give you a great deal of functionality without ever having to launch an app. I decided a good first shot at Android development would be to write a Chuck Norris Fact of the Day widget my family and friends could stick on their home screens and enjoy a little daily pick-me-up. I knew that adding customizability would let me work with preferences and the nature of a daily fact would give me some Android data management experience. I released the Chuck Norris Fact Widget on the Android Market and several of my family and friends downloaded it the first day. Over the next few weeks, about 1,500 of their family and friends downloaded it, so I've been working to improve it ever since. If you're on your Android device now, you can download the free version called, Chuck Norris Facts Free or for just a buck, you can get the paid version called, Chuck Norris Facts with Widget. The icon should look familiar from above and the publisher name is, of course, D. Patrick Caldwell. I hope you check it out and I hope you enjoy a little bit of my sense of humor. For the programmers who read my blog, I'll be posting some technical information I learned while developing this application. Specifically, how I managed to change the background image of my widget with remote views.